Running from 2nd-4th October (YES, next week!!) 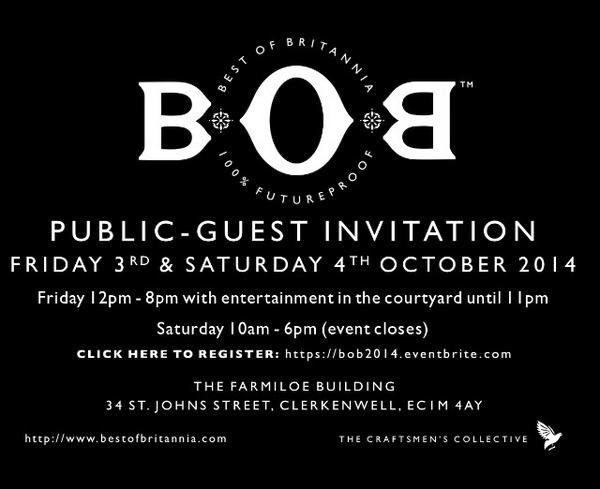 is Best of Britannia at The Farmiloe Building. I will be there with work and some of our brands and am very excited to see the fabulous British brands exhibiting their products. I won't ramble on about the brilliant things on offer, come and see for yourself! For more information or to register for tickets for the day, click here.